Thirty-eight years ago next Tuesday, in a sweltering apartment in East Elmhurst, a man sat meticulously constructing dynamite pipe bombs. Born in 1950 in Chicago to Puerto Rican parents and raised in East Harlem, his name is William Morales. He was the principal bombmaker for "Fuerzas Armadas de Liberación Nacional Puertorriqueña" (Armed Forces of Puerto Rican National Liberation, or “FALN”), the most active domestic terrorist organization in American history. Between 1974 and 1983, the FALN was linked to over 130 bombings, incendiary actions, and other violent attacks in the U.S.
A more intricate bomb that Morales earlier had crafted – which also contained propane tanks and shrapnel – was placed in a duffle bag and carried by a fellow FALN member, whose identity has never been conclusively determined, into the historic Fraunces Tavern restaurant one day in January 1975 during a crowded lunch hour. When the bomb detonated, it killed four men and injured more than fifty others, many horribly. One of the dead was thirty-three-year-old Frank Connor, a son of immigrants who exemplified the American dream. That night, Frank had planned to have a special dinner with his family to celebrate the birthdays of his two young sons – aged 11 and 9. Morales was transferred to Bellevue Hospital’s third-floor prison ward, a less secure facility, where doctors planned to fit him with prosthetic hands. While there, someone slipped Morales a bolt cutter. In a scene out of a Hollywood movie, Morales lashed the cutter to the ends of his arms and used it to cut through a steel cell window gate. He somehow shimmied down a rope made from elastic bandages, far enough to where Weather Underground and Black Liberation Army members awaited. Concerned that his injuries made him recognizable, Morales eventually fled to Mexico. In May 1983, when Federales went to arrest him, a gunfight broke out. Morales’ bodyguard was killed, as well as a Mexican officer. Although the U.S. demanded that Morales be extradited, the Mexican authorities kept him in custody. Morales was released from prison early in June 1988 after serving only five years. Mexico, long sympathetic to the Castro regime, then invoked the ''political offense'' exemption of its extradition treaty with the U.S. Morales was taken from prison directly to the airport and onto a plane headed for Cuba, where he remains to this day. He has never acknowledged or accepted responsibility for his actions as an FALN member. One of the benefits that Morales enjoys is visits to Cuba by his son, a bonding that Frank Connor’s sons Joe and Tom have been robbed of. 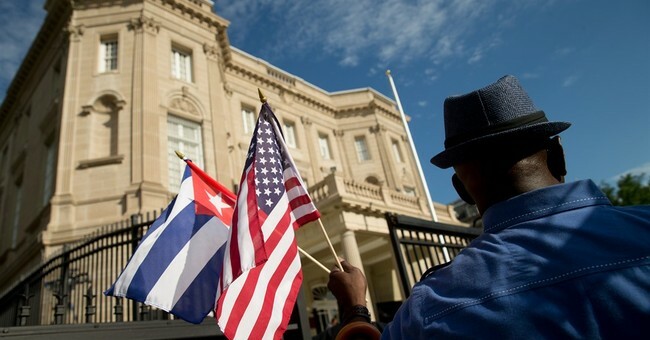 In December 2014, President Obama and Cuban President Raul Castro announced the beginning of a process of normalizing relations between Cuba and the U.S. But in addition to the lack of evident progress on human rights in Cuba to date, left out of the “Cuban Thaw” is a demand by the administration for the extradition of the multitude of fugitives who’ve received sanctuary in Cuba. They include Joanne Chesimard (aka, Assata Shakur, convicted of murdering a New Jersey Trooper), Victor Gerena (who participated in the robbery of a Wells Fargo depot in West Hartford in which $7 million was taken), Ishmael Ali LaBeet (convicted along with four others of murdering eight tourists and employees in 1972 at a golf club in the Virgin Islands), and Charlie Hill (accused of murdering a New Mexico State Trooper during a traffic stop – he commandeered a plane to Cuba).